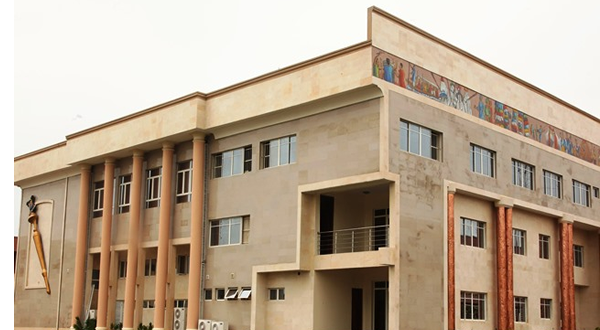 The Lagos State House of Assembly has recommended a fine of N250, 000 or six months imprisonment for any individual who obstructs members of the Lagos State Neighborhood Safety Corp (LSNC) from carrying out their duties. This followed the adoption of the report of its Committee on Information, Security and Strategy as presented by its Chairman, Hon. Adefunmilayo Tejuosho by the House during plenary on Monday. Tejuosho presented the report on “A Bill for a Law to Amend the Lagos State Neighborhood Safety Agency for the Regulation and Control of Neighborhood Safety Corps Activities and for Connected Purposes”. According to her, it was observed at the public hearing held on Dec. 14, 2018 that certain sections of the Principal Law needed to be amended in addition to those contained in the Amendment Bill. She added that in order to allow for proper efficiency and strengthening of the agency, there was a need to create more sections to make the amendment more encompassing. Tejuosho said that the amendment created a new Section 25 in the Principal Law with the sidenote “Obstruction of Authorise Officer”. “A person, who willfully and unlawfully obstructs, restrains, prevents, harasses or injures a safety corps member or any authorised officer in the discharge of their duties under this Law commits an offence and is liable on conviction to a term of six months imprisonment or to fine of N250, 000 only or both fine and imprisonment. ” A duly authorised safety corps member shall have power to enter, inspect and conduct search upon warrant issued by a Magistrate as may be incidental to be operation of this law. “A safety corps member shall have power to arrest anyone who commits, about to commit or is suspected of criminal activities and shall handover such person (s) to the police,” the amendment bill read in part. Section 27, subsection 2 of the amendment, however, stated that a safety corps member shall not exploit his or her membership of the safety corps for personal advantage or benefits. “A safety corps member who violates the provisios of this section commits an offence under Section 68 of the Criminal Law and is liable on conviction to five years imprisonment,” Subsection 3 of Section 27 read in part. The amendment stated that some functions of the LNSC include establishment of the uniform safety corps in all local government areas of the state. The agency is also expected to take over all existing responsibilities of the neighborhood watch and absord all eligible neighborhood watch members into the safety corps. According to the bill, the agency will register all private vigilant groups, private home security and any other person employed for private security as well as carrying out enlightenment campaign on crime detection and prevention. The lawmakers took turns to commend the committee for the amendment and debated the bill. In his observation, Prince Bisi Yusuff said that tenure of the board should not be put on part time but on full time as proposed in the amendment because of the importance of security. Hon. Rotimi Olowo (APC-Somolu I) harped on the need for the agency to liase with other security agencies for proper security of lives and property. The Majority Leader, Hon. Sanai Agunbiade, who corroborated Yusuff said: “The tenure of the members of the board should not be part time because of the nature of the issue (security). “Lagos is a dynamic state with various security challenges. We must be emphatic on this. I wish to state that the job should be permanent and not part time”. In his submission, Rt. Hon. Mudashiru Obasa, the Speaker of the House, Mr Obasa said that the fines for anyone who obstructs LNSC officials was mild and that it would not deter criminals. Obasa said that the board should be separated from the agency to allow the agency function well. On whether the job of the board members should be part-time or full time, the Speaker said that depended on the functions of the board. The reports were presented by the Chairmen of House Committee on Finance and House Committee on Establishment, Training and Pension, Hon. Yinka Ogundimu and Hon. Mojisola Meranda respectively. On PPP, the lawmakers were unanimous during debate that the House should be involved in all MoU and Feasibility Studies on PPP as the representatives of the people for transparency and accountability. The House subsequently adopted the two reports as the resolutions of the House and adjourned sitting to Friday, 26th April. The Lagos State House of Assembly has urged the National Assembly to expedite action on the passage of the Electricity Reform Act 2018. It also called on the Minister of Power, Works and Housing, Mr. Babatunde Raji Fashola to order Eko and Ikeja Distribution Companies (DISCOs) to face out metering system and provide pre-paid meters to the teeming residents of the state. This followed a Motion moved by some lawmakers in the Assembly on Tuesday led by Hon. Tunde Braimoh. In the Motion, Hon. Tunde Braimoh, representing Kosofe Constituency 2, called on the National Assembly to expedite action on the Electricity Power Reform Act 2018 that criminalises the estimated billing system. “The House resolves to call on the National Assembly to amend the schedule two of the Constitution of the Federal Republic of Nigeria to allow states and local governments to generate electricity. “The National Assembly should expedite action on the Electricity Reform Act 2018. “The house calls on the Minister of Power and the National Electricity Regulatory Commission (NERC) to call on Eko and Ikeja DISCOs to desist from taking transformers away from consumers over non payment of bills. “The Minister and NERC should ensure the distribution of prepaid meters to consumers and the Consumer Protection Agency should ensure that the rights of consumers in Lagos State are protected,” he said. The Speaker of the House, Rt. Hon. Mudashiru Obasa emphasised the need for the Federal Government to allow states or local governments that can generate electricity to do so. Obasa added that concentrating electricity generation in the hands of the Federal Government, when there are no resources to do so is wrong. He then ordered the Clerk of the House, Mr. Azeez Sanni to write the National Assembly and the Minister of Power, Works and Housing on the resolution of the House on the matter. In his comment, Hon. Bisi Yussuf (Alimosho 1) stated that crisis over electricity issue is a daily occurrence in Lagos State, and that it usually leads to violence between officials of DISCOs and the consumers. Yussuf said that officials of DISCOs usually remove transformers and that they would not replace them for six months, while they still bring bills for such months. He condemned a situation where consumers buy transformers, which later become those of DISCOs. This was corroborated by Hon. Rotimi Olowo (Shomolu 1), who said that the issues started occuring when the DISCOs took over. “What is generated cannot be transmitted because we don’t have the facilities for transmission. “We should call on the Minister of Power to make critical analysis of these companies. “The DISCOs don’t have the financial muscle to provide power for the people. “We need to overhaul the electric service providers since they don’t have enough financial requirement, and their monopoly gesture has made life unbearable for our people,” he said. The Deputy Majority Leader, Hon. Olumuyiwa Jimoh (Apapa 2) said that it is a constitutional provision that the National Assembly should pass the amendment before it is signed by the president. Jimoh added that the Minister of Power has said that Nigerians should not pay the DISCOs until they provide prepaid meters. In his comments, Hon. Gbolahan Yishawu (Eti Osa 2) urged the assembly to call on the Consumer Protection Agency to push for the rights of the consumers on the issue. Independent National Electoral Commission (INEC) in Lagos, today, issued certificates of return to the Speaker of Lagos State House of Assembly, Rt(Hon) Mudashiru Obasa and 39 Lawmakers-Elect at the headquarters in Yaba. 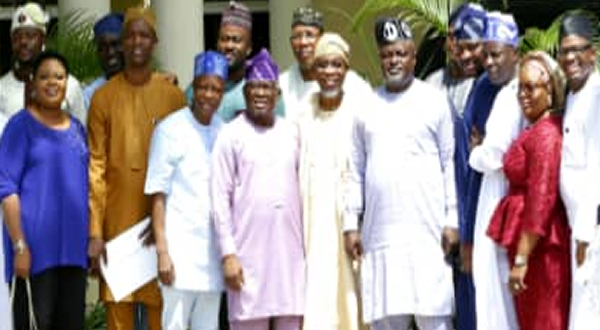 The event was attended by Lagos Chairman of the All Progressives Congress (APC), Alhaji Tunde Balogun, Secretary of the party, Wale Ahmed, Publicity Secretary, Joe Igbokwe and the Assistant Publicity Secretary, Mr Abiodun Salami. In his welcome address, the Administrative Secretary, Mr Ashade Adelani, tasked the lawmakers-elect on massive delivery of dividends of democracy to their constituents, adding that out of 640 candidates that contested the House of Assembly elections in March 9th, only 40 emerged winners. In his comments, the Resident Electoral Commissioner, INEC Lagos, Mr Sam Olumekun, described the event as a special one saying that Nigeria had experienced 20years of uninterrupted democratic practice. Olumekun eulogised the various security agencies for their roles in the conduct of the general elections in the state, thereby urging the lawmakers-elect to enact laws that would improve the lives of Lagosians. He, however, urged the party leaders to intensify their efforts in mobilising the electorate and their members to actively participate in elections, lamenting on the low turnout of voters during last general elections in the state. 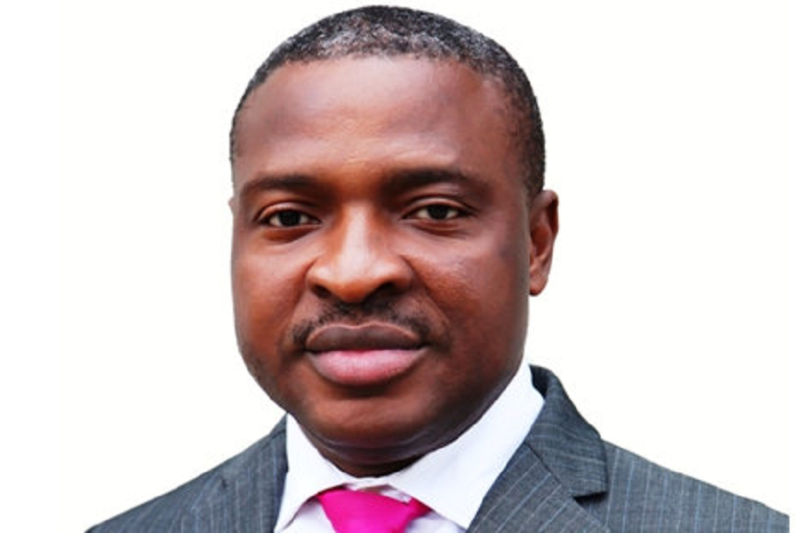 However, the lawmaker-elect and Speaker of Lagos State House of Assembly, Rt(Hon) Mudashiru Obasa, in his comment, stated that this was his fifth term of coming to INEC to collect certificate of return, saying that the lawmakers -elect had listened to the advice of the REC and that they would represent their constituents genuinely. Obasa stated that they are concerned about the people and that they would not forget the interest of the people in their legislative duties. Speaking on the cost of conducting elections in the country, Obasa suggested ” The Nation needs to be more prudent by looking for a more convenient and less expensive process that will be acceptable and credible. Obasa commended the National Leadership of APC, Asiwaju Bola Tinubu, Governor’s Advisory Council (GAC) members and other stakeholders who contributed to ensure that the 40 seats were won by candidates of the party. He, however, called for more acceptable, convenient, prudent, truthful and protective electoral process, calling on the National Assembly to embark on necessary amendment that would be beneficial to the general public. Hon. Abiodun Tobun is representing Epe Constituency 1 in the State House of Assembly. 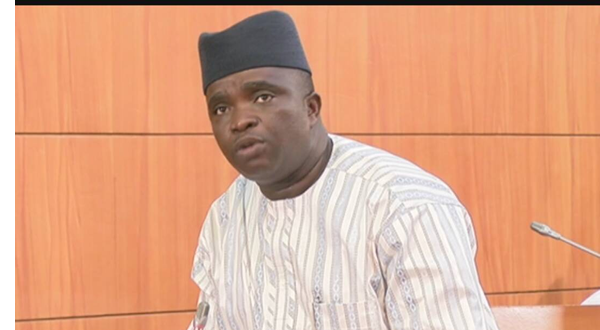 The lawmaker recently won a third term into the assembly under the All Progressives Congress. Tobun speaks on what he want the stat government to do for his people and his plans for the constituency in this interview he granted us recently. Your party wants Senator Ahmed Lawan to be the Senate President, while others are interested in the seat. The same thing is happening on the Federal House of Representatives, where the party wants Hon. Femi Gbajabiamila to be the Speaker of the House. Won’t there be problem or a repeat of what happened in 2015 if the senators and representatives should go into contest? The party would come together and the leadership of the party so that by June this year, the best candidates would emerge for the offices. The party has a role to play in the whole issue. The party has a role to play. No one contested election with his own name, they contested under the party. Our names were not on the ballot papers, it was the party’s name that was there. What would you advise the incoming Governor Babajide Sanwoolu of Lagos State to consider in forming his cabinet after May 29, 2019? I want to urge the incoming Governor to select the people that would serve the interest of the majority of the people, uphold the tenets of the party and do the bidding of the generality of the people in line with the manifestos of the party. There are a lot of qualified party men that can serve, they should not choose people who have suffered setbacks in their domain. They should look for people that are qualified and competent to do the job. If this is done, the commissioners would have listening ears and they will not be far away from the people. They will not be far from the people. I want the Governor to look at that direction for the benefit of our people. We have qualified medical doctors who are full of ideas, we have lawyers and other professionals. The Governor should look at the competence of the nominees and choose those who would not separate themselves from the people. Epe is the most backward local government in the state. There is no link road to Epe from the city and from other parts of the state and country. If you are coming from Ibeju Lekki, there is no link road to Epe, if you are coming from Ikorodu, there is no link road there, even the road there is bad. The road from Ijebu Ode, Ogun State is bad. There is no industrial estate in Epe, there is industrial estate in Agbara, there is one in Ikeja. Also, Epe does not have BRT, even there is no signal light in Epe, and there is no pedestrian bridge in Epe. There is no good housing estate there. We have a lot of things that should be attended to. We have land, the Governor should give our people a vision. Let our people expand, let them feel the impact of the government. Our ‘baales’ should be upgraded to ‘obas’ so that they can also have better benefits. Also, our general hospital should be upgraded. The LASU Epe Campus should be upgraded, Michael Otedola College of Education in Epe should be upgraded to a university. The issues are too numerous. Most of the markets in Epe are bad. Our main market should be upgraded to international standard. Our fish market is of international standard, but it should be upgraded. We have a lot of things that they can do to enhance the socio-economic life of our people. If the roads are good, a drive from Epe to Lagos is less than one hour. So a lot of people would love to stay in Epe and work in the city. We have the ambience, we have the topography. Epe should be opened up for development. We are 40 from the APC, we were 32 from the APC and eight from the Peoples Democratic Party (PDP) in the 8th Assembly, later seven of them crossed to our party. We will continue to do our best. I have mentioned them and I would pursue them. We will work with our colleagues and we pray that the executive would support us. If the Epe is good, a lot of people would live there and work in the city. Nominated and screened for the position of General Manager, Lagos State Public Procurement Commission was Mr. Onafowote Fatai Idowu. Onafowote was born on 16th January, 1957. 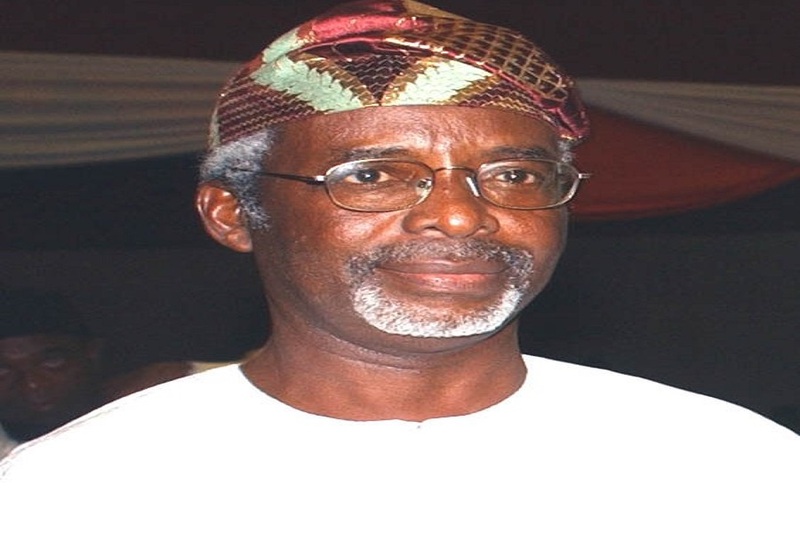 He attended University of Ibadan and studied agriculture, biochemistry and nutrition. He also supported Lagos State Public Procurement as a Technical Adviser and he has been acting as General Manager of the commission since May 2016. He is a certified procurement manager, who has worked under World Bank project in the sector. He however, agreed that insurance bond is important for procurement, adding that the fund given to any contractor ought to be protected. “They could get bond from banks or insurance companies. I support the ongoing reform in the House of Assembly on public procurement. “Initial payment for contracts could be between 20 and 40%. It could be low for projects that involved a lot of money. Financial capability is part of consideration. 20% could be low, but it should range between 20 and 40%,” he said. He added that he started acting as the GM of the commission as a child of circumstance, when the immediate past General Manager resigned. The House also screened nominees for the Lagos State Teaching Service Commission (TESCOM). Nominated and screened for the position of the Chairman of the board of TESCOM was Mrs. Elizabeth Olabisi Ariyo. Ariyo was born in 1956, and she attended United Missionary College and got Grade 2 Teachers Certificate, taught in Ilesha, Osun State. She also studied at the University of Lagos from 1982 to 1986 and studied English Language. She started working with the Lagos State School of Basic Studies in 1986, and later worked as an inspector, planning officer and state Primary Education Board. She became a Permanent Secretary in 2015 and retired in 2016. Also screened to be a member of the commission was Mr. Jacob Mahonu Ashaka. Ashaka was born in 1958 in Topo, Badagry. In 1976, he proceeded to Government Teachers Training College, Badagry for Grade 2 Certificate and was employed as a teacher. In 1981, he went to Lagos State College of Education and graduated in 1984. He went back to teaching in 1985 after his NYSC Programme. He worked at Agboju Secondary School for nine years. He later gained admission to the Lagos State University for first degree and went back for Masters Degree programme in Education Science and Administration in 2001. Another nominee screened for TESCOM was Mrs. Sidikat Titilayo Smith. Smith was born in 1954 and attended the University of Lagos, where she studied Biology Education. She was also cleared by the House for the position. Mr. Adeleke Oluwaseun Kara was also screened to be a member of TESCOM. Kara went to the Federal College of Education, Okenne, and later taught at Teachers College, Ikorodu before going to the University of Ibadan to study Guidance and Counseling. The fifth nominee screened for TESCOM was Mrs. Hadijat Hassan Kuburat. She was born in 1965 and attended Lagos State University, where she studied Political Science and later got masters degree and is undergoing Phd Programme at the University of Ilorin. Meanwhile, a Bill for a Law to amend the Lagos State Neighbourhood Safety Corps (2016) was read for the second time. Chairman, House Committee on Judiciary, Public Petitions, and Human Rights, Hon. Tunde Buraimoh stated that the bill needs overhauling and that the citizens must be made to know the importance of security. He said that the House has a responsibility to ensure that the agency works well and made to achieve its aim. The Majority Leader, Hon. Sanai Agunbiade also added his voice to the need to review the bill, which he said considered the issue of vigilante. He said that members of the corps have power to conduct search or to arrest any erring member of the public. Hon. Rotimi Olowo (Shomolu Constituency 1) and Hon. Yishawu Gbolahan Yishawu (Eti Osa 2) also spoke on the matter. The bill was later committed to the House Committee on Information, Publicity and Strategy, headed by Hon. Adefunmilayo Tejuosho and they are to report back to the House in two weeks. The Speaker of the Lagos State House of Assembly, Rt. Hon. Mudashiru Obasa has commiserated with the leadership of the Oodua Peoples Congress (OPC) over the death of its national leader, Dr Frederick Fasehun. A statement released on Sunday signed by his Chief Press Secretary, Musbau Rasak, Obasa also commiserated with the family of the deceased describing his death not only a loss to the OPC and his family, but also to the Nigerian nation. “The late Dr Fasehun was a nationalist and his death is therefore not only a loss to his family and OPC but also to the entire Nigerian nation,” he said. Rt. Hon Obasa described the late OPC leader as a dogged fighter who did not shy away from pursuing his belief to a logical conclusion. “He was a dogged fighter who will always pursue his belief to logical conclusion. Nigeria will surely miss his experience, knowledge and wisdom,” he said. 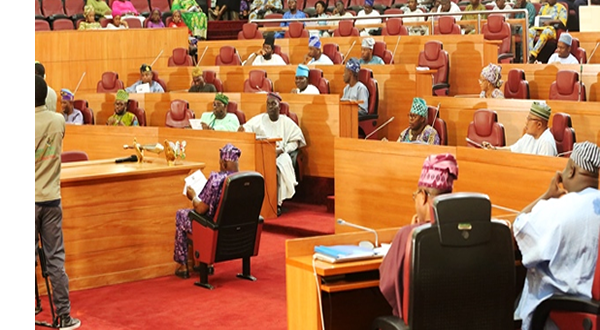 The Lagos State House of Assembly has said that 20 per cent advance payment for public procurement activities is outdated and that this has affected delivery of projects in the state. This was disclosed by the Speaker of the House, Rt. Hon. Mudashiru Obasa at the Public Hearing for a Bill for A Law to Amend the Lagos State Public Procurement Agency Law organised by the House on Thursday at Lateef Jakande Hall, Assembly Complex, . The stakeholders meeting was organised by the House Committee on Finance, led by Hon. Yinka Ogundimu representing Agege Constituency II. Obasa stated that the review was aimed at making the law more functional and ensure that people-oriented projects were delivered speedily in good quality. The speaker, who was represented by his deputy, Hon. Wasiu Eshilokun-Sanni said that the procurement was all about accountability, probity as well as reduction of corruption. He said that the house wanted to work for the people of Lagos by having a procurement law that with serve the people and ensure speedy delivery of infrastructural projects. “There are projects that require speedy completion. The delivery of government projects within reasonable time is key to the house. “Our people desire services as earlier as possible. There are projects the government wants to finish in time, 20 percent (advance payment) cannot work again, the law has to be dynamic. “We will ensure increase in the mobilisation fee for projects. The job cannot be completed in time with 20 per cent mobilisation. We cannot forget that our people need to do jobs and their capacity is limited. “Government money should be accounted for and should also be used for what it is meant for. We want procurement in Lagos to be seamless and work for the people,” he said. Reviewing the bill, the Majority Leader of the House, Hon. Sanai Agunbiade, the House has identified 10 laws of the state to be reviewed to give Lagosians a cleaner and more functional laws for the benefit of the people. He said, while reviewing the Bill, that the amendment affected section 4, which affected appointment of the Board by the Governor subject to the confirmation of the House to have best hands. He added that the amendment also included a new section 5 which states that:”The Chairman and members of the board shall hold office for a term of three years and may be reappointed for a further term of three years only “. The proposed amendment also affected section 18, 19, 31, 32, 33 and 63 of the Principal Law which deleted 20 per cent of advanced payment and replaced by 40 per cent considering the present reality. In his words, the Commissioner for Finance, Hon. Akinyemi Ashade Lagos State described the proposed amendment as progressive and proactive. According to him, the Board of the Procurement Agency has also considered an amendment to the law to aid performance in terms of transparency and speedy implementation of projects. Ashade said that the public procurement, apart from ensuring accountability and probity, ensures value for money and speedy delivery of projects. 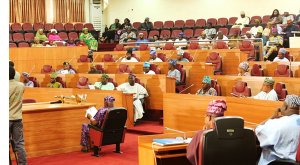 The stakeholders took turns to commend the House for the proposed amendment, saying it would enhance better performance of procurement processes in the state. A project engineer, Dr. John Ekundayo, who hailed the lawmakers, added that even with 40 per cent proposed advance payment, there were still some hiccups the affect projects delivery due to the nature of payment. Deputy Director, Procurement in the state Ministry of Energy and Mineral Resources, Dr. Bunmi Oladipupo said there was a need to change of the head of the agency Director General or Permanent Secretary as against General Manager. Mt Fatai Idowu of the Public Procurement Agency, however, urged the house to make 40 per cent mobilisation fees maximum because of numerous projects that might be begging attention. “Let 40 per cent be maximum but it could be less so as not to affect other projects. When we evaluate, we must consider financial capacity,” he said. Mr. Mumuni Eshinlokun from the Local Government Commission called for domestication of the law for local government to work more efficiently. Responding to the call for domestication of the Public Procurement Law at the local government level, Obasa said that the house would consider it, urging stakeholders to submit their memoranda. Earlier in his address, Ogundimu, who noted that the House was looking at the some laws of the state to make them better, said the procurement law was very important to have a better state because of its links to the infrastructural projects in the state. “For us not to have continue abandoned projects, we need to consider this law, we need your full contributions. It is part of our duties to amend our laws to weigh the impact of every law and review them whenever necessary. “One of this is advance payment in the award of contracts for projects from 20% to 40%. That is one of the major amendment. We are here to listen to the stakeholders and we will weigh the importance of their inputs. “We want procurement to go on without hindrance. One of the main ingredients of the economy is the government as the biggest spenders,” he added. Meanwhile, the Public Hearing on a Bill for a Law to Establish the Lagos State Public Private Partnership Law, 2018 and for Connected Purpose was shifted by one week following the request by stakeholders over short notice. They urged the House to give them more time to study the proposed amendment. 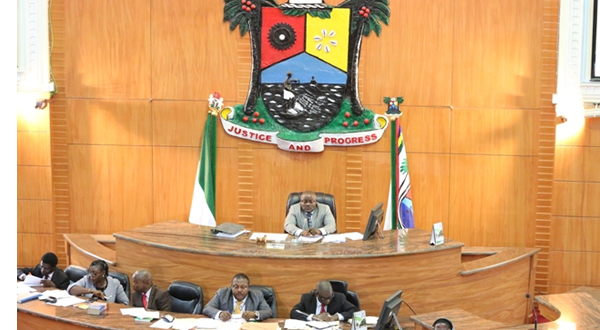 The Lagos State House of Assembly Committee on Public Accounts (State) on Monday commenced investigation into audit reports of over 200 Ministries, Departments and Agencies (MDAs) for probity and accountability. The Committee’s Chairman, Hon. Moshoood Oshun, who spoke with newsmen after the committee interrogated the Physical Planning Permit Authority, said that the exercise was legal to ensure public funds were judiciously expended. According to him, the exercise is an annual ritual for House Committee whenever the Auditor-General finishes auditing all the MDAs in Lagos State. “This is expected by the law. We are going to treat every MDAs. exercise will ensure that public funds are spent in the right way. state. This is one way of doing that. “We want to make sure that all tax-payers money is judiciously spent. sure that what has been appropriated for is done. “Lagosians gain a lot from this kind of exercise. expectations, Oshun said that committee would consider them and find solutions to ensure their optimal performance. According to him, the Physical Planning Permit Authority has done very well in terms of revenue generation and achievements, though there is a room for improvement. “MDAs should know they are out to serve the people of Lagos State to make sure residents feel safe and secured as well as to ensure that their money was not wasted of frivolities. payers money are judicious spent. but committee to do a thorough job as prescribed by the law. “We have been elected to do this job, we have been paid to do it. done. We will investiagete well. “We want to make sure that someone who has not done anything bad is not punished and to make sure that somebody who has done something bad is punished. The Committee Chairman urged the MDAs to work with the House in law reviews, where necessary in order to ensure they match test of time for optimum performance. 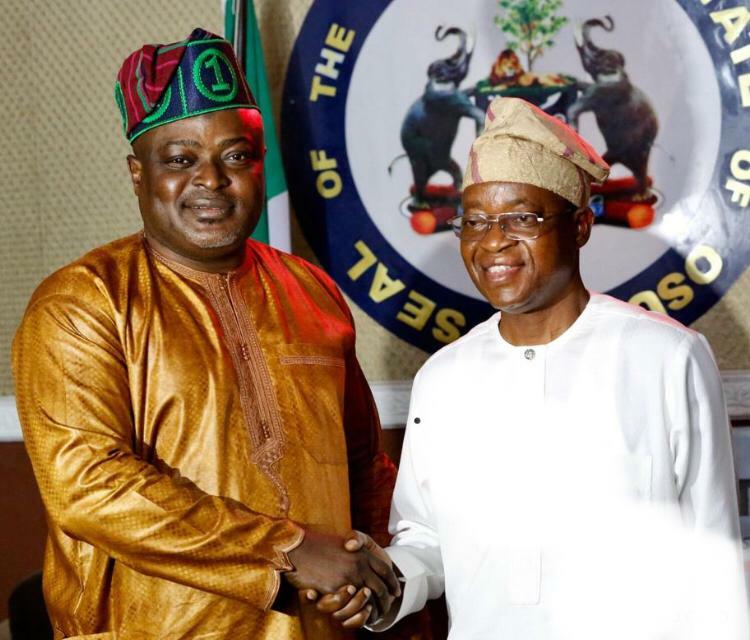 Ahead the official inauguration of Alhaji Isiaka Adegboyega Oyetola as the new Governor of Osun State on Tuesday, 27 November, 2018, the Speaker of the Lagos State House of Assembly, Rt. Hon. Mudashiru Obasa has sent a message of congratulation to the incomingGovernor, his predecessor, Ogbeni Rauf Aregbesola and the All Progressives Congress (APC) for the victory at the polls. A statement by Obasa’s Chief Press Secretary, Musbau Rasak, on Monday stated that the Lagos Speaker also congratulated the APC National Leader, Asiwaju Bola Ahmed Tinubu not only for the victory at the Osun governorship poll, but also the recent electoral victories recorded at the various bye-elections that took place in the country. APC won at the bye-elections that took place at Irepodun/Isin/Okeero/Ekiti Federal Constituency of Kwara State; Kankia/Kusada/Ingawa/ Constituency of Katsina State; and Toro Federal Constituency of Bauchi State. “I want to congratulate the leadership and members of our party at all levels. Not only on the Osun governorship election and subsequent inauguration of the new Governor but also on the recent victories recorded at the bye-elections in Kwara, Katsina and Bauchi States. “These victories are clear indication of the fact that Nigerians still love our party and support our development programmes and projects at all levels,” Obasa said. 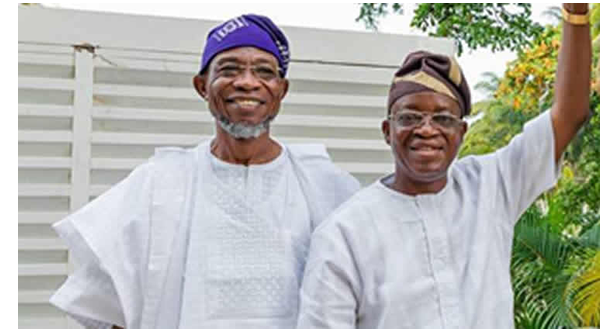 In congratulating Oyetola, the Lagos Assembly Speaker stated that the incoming Governor is in better position to work and improve on the great achievements recorded by Ogbeni Aregbesola. “He (Oyetola) worked closely with Ogbeni for eight years. He is an experienced administrator, well equipped to do the job and I have no doubt in my mind that he will succeed,” he said. Rt. Hon. Obasa also rejoiced with Ogbeni Aregbesola on a successful tenure in office. “He has performed extremely well in Osun and I know history will judge him positively,” he said. On Asiwaju Tinubu, Obasa said, “he is our Leader and for any achievement recorded in governance, he deserves the accolades because he has taught us well”. Obasa assured Nigerians that the APC administration at all levels will not relent in putting in place programmes and measures that will enhance their welfare and improve their standard of living. “We cherish your support and prayers hence we will continue to seek for your support and prayers all the time,” he said. Lagos State House of Assembly has condemned alleged killings of innocent citizens by men of the Nigerian Custom Service across the State. Hon. David Setonji, representing Badagry Constituency II, moved the motion under Matters of Urgent Public Importance. He stated that there was the need to call the officers to order as their conduct within the State was becoming weary and unfortunate. “The Nigerian custom officers were chasing smugglers in resident of Badagry and they were shooting sporadically thereby killing an innocent woman, Mrs. Patience Oni and also injured a man that has no business with the smugglers.” he added. Contributing, Hon. Rasheed Makinde, representing Ifako-Ijaiye Constituency II, also explained that it was high time they limited their operations to the borders and not to extend same to residential areas. Hon. Tunde Braimoh, representing Kosofe Constituency II, added that there was the need to call the attention of President Muhammadu Buhari to call them to order because they are unleashing terror on the citizenry. The Majority Leader, Hon. Sanai Agunbiade opined that the family of the deceased should take this case up and demand a compensation from the formation even though there is no amount of money that can be compared to life, noting that if the custom officers know the price to pay for committing these unlawful atrocities, they would surely desist and behave themselves. 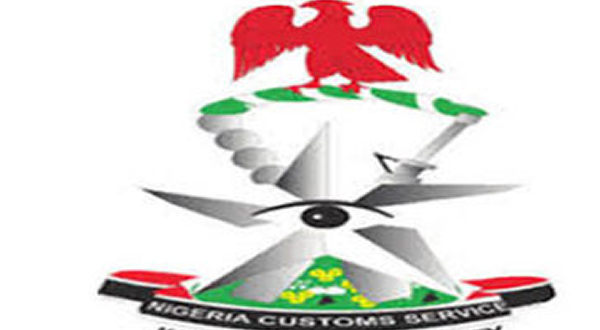 The House while commiserating with the family of Mrs. Patience Oni, thereafter called on the Comptroller General of Nigeria Customs Service, NCS, Col. Hameed Ali (rtd), to direct his men to be more civil in their conduct. The House also called on the State Commissioner for Police, Imohimi Edgal to investigate the matter and ensure that the arrested custom officers are charged to court. The Speaker, Rt. Hon. Mudashiru Obasa, observed that the custom have been so inefficient in managing the control of the border. He then directed the Clerk of the House, Mr. Azeez Sanni to write the presidency to inform him about the incidents. This website takes into account the W3C Content Accessibility Guidelines 1.0. PDF files - Some content on this site, such as bills, committee reports, and other documents, are made available in Adobe PDF files to preserve the formatting of those documents as originally published. To view these files, Acrobat Reader must be installed on your system. This is free from Adobe and available from the following link: http://www.adobe.com/products/reader.html For information about Adobe Acrobat accessibility tools visit the Acrobat accessiblity page. Copyright © 2015 Lagos State House of Assembly. All rights reserved.